Residents with questions or concerns about the Borough’s, anti-icing, de-icing and snow removal procedures should contact the Public Works Department at 215-257-6860. The owner and/or occupant is responsible for clearing snow and ice from Borough sidewalks adjoining the property. Do not deposit snow or ice on or by a fire hydrant or in the street. The Borough’s Snow and Ice Ordinance lists residents’ responsibilities in the event of a snow event. When there is snow accumulation of three inches or more, the Borough Code of Ordinances prohibits parking on these snow emergency routes. 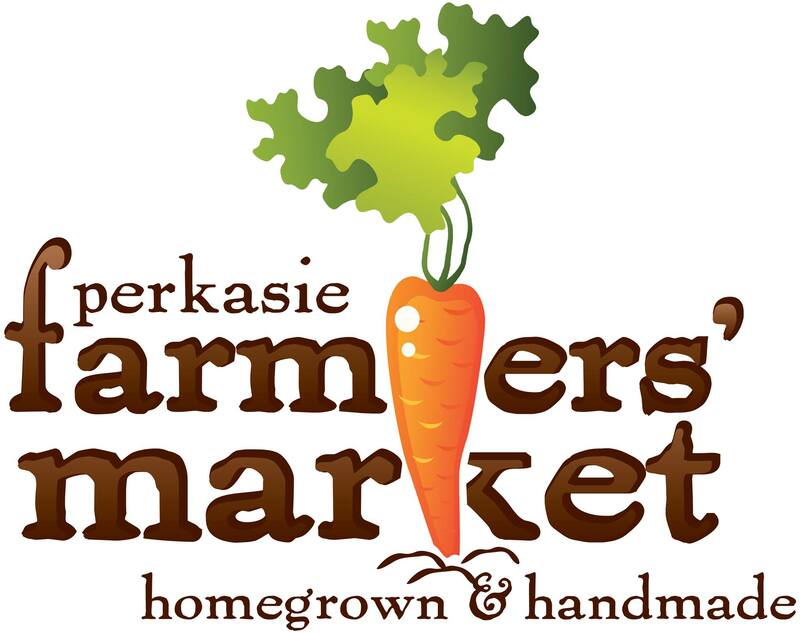 The Perkasie Borough Public Works department is responsible for salting and plowing of the more than 25 miles of Borough roads, including 27 cul-de-sacs and all Borough-owned facilities. Our first priority is to make all roads safe and passable for the traveling public. The decision to send trucks out is made by the Dir. 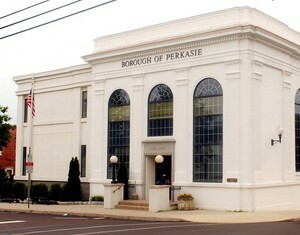 of Public Works who is in contact with the Perkasie Borough Police department and several weather forecasting centers. the department has the capability to apply a salt brine solution on the roads. This brine application is extremely helpful in a winter storm event as it creates a barrier on the road surface which helps to break the bond of ice and snow to the road surface which results in easier removal and eliminates what is commonly referred to as ‘hard pack’. This brine application can take place up to 48 hours in advance of an approaching storm and its’ effectiveness is not lost with an early application. the department has three trucks capable of salting and plowing and a fleet of eight more trucks and a front-end loader available for plowing and snow removal. The Borough also hires outside contractors to assist with the removal of snow on Borough roads if forecast conditions warrant it. the salting process begins shortly after snow has begun to fall and is sticking to the roadway. All trucks are sent out to their assigned areas with instructions to first salt hills, intersections, and curves along with all main roads and snow emergency routes. Salt needs the movement of traffic to make it effective, so if it appears that your street has not yet been salted, it may be that there has not been a sufficient amount of traffic to make it effective. depending on forecasted snow accumulations, plowing will begin when accumulation reaches three inches. Major roadways and snow emergency routes are plowed first. When we begin plowing our trucks will make one pass in each direction on the streets and into and out of the cul-de-sacs. If the storm is large enough, roadways will be plowed several times. Please be patient until we get to your street and wait one hour after you see a truck on your street as sometimes the operator might make one more pass during the larger storms. Please remove all obstacles from the edge of the roadway [i.e. basketball hoops] these items are not permitted according to code and ordinances, to be in the public right of way. If they are, they can cause major damage to our trucks and other vehicles might hit them as well. The Borough will not be responsible for any damage to any non-permitted items in the right of way. Another problem is trash and recycling containers. If these are on the street they are going to get hit by a snow plow. Cars parked on the street become a major problem during winter storm events. As the plow goes around the parked vehicles, it leaves piles of snow on the roadway. To avoid this, please remove vehicles from the street during snowstorms whenever possible and always on snow emergency routes. Cul-de-sacs should also be free of vehicles when ever possible. These areas are extremely difficult to plow and require the greatest amount of time and, with the addition of parked vehicles, it makes the task even more difficult. Please do not put any trash containers in the street at anytime of the year. We ask that all resident with mailboxes along the curb be sure that they are placed back behind the curb line so plows, and snow coming off the plows, will not damage them. The Borough will not be responsible for mailboxes damaged which are not installed correctly. Residents are also reminded that, according to the Borough Code, it is unlawful to put snow back into the street, either by means of shoveling, plowing or snow blowing. This is against the law and leaves a road hazard for other motorists to try and drive around or thru leaving you, the homeowner, liable if someone were to get hurt. If the storm is large enough roadways may need to be plowed several times. It takes, on the average, 4-6 hours for the Public Works department to plow Borough roads after the snow has ended. Please avoid driving unless it is absolutely necessary during snow plowing operations. Snow plowing, normally a routine function, becomes difficult with stalled, stuck, or parked cars in the street. After all roads are initially plowed comes the process of pushing snow back to the roads edge, cleaning out cul-de-sacs and re-salting if needed. If our crews have been working extensive hours plowing and salting, this phase of the snow clearance may not begin until the next day so that our crews may be sent home to rest. We plow as close to the curb-line as possible, which creates a wider and safer roadway for travel and parking. There may be times during snow removal operations when snow may be pushed onto sidewalks or into cleared driveways. Borough crews do their best to eliminate this but the possibility does exist. To help with this issue leave the last six feet of your driveway unshoveled until all plowing operations have ceased. This unshoveled part will allow the snow being pushed by the plow to remain on the plow and not dumped into your drive. If you must shovel out your drive, clear a six-foot area of the road that is directly in front of the mouth of your drive. In addition clear an area ten feet before and after the mouth of your drive, so that when the plow comes through, it will unload snow that it is pushing in the cleared area and not in the mouth of your drive. Cul-de-sacs are cleared by a plow which will make one pass in and out and then a front end loader will begin by piling the snow in an unused area of the cul-de-sac. When time permits these piles may be removed. East Walnut St. [SR152] from the Hilltown Township line to Constitution Ave.
Callowhill St [SR4017] from Main St. to the Borough line in Hilltown. The Public Works Department strives to keep all borough roads safe and passable for the traveling public during a winter storm event and we ask your co-operation and patience as we work toward accomplishing this goal. The safety of our residents and of our employees is foremost in all of our decisions.